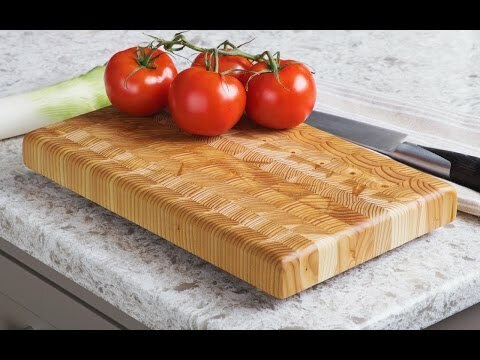 The wood from this self-healing end grain cutting board is harvested and assembled in a small, Nova Scotia mill. They cut the Larch wood to expose its intricate patterns and gradients. But besides the aesthetic benefits, the fibers are lined vertically to close and heal after you’ve cut them. That keeps knives sharper and your board cleaner. It even has rubber feet to prevent moisture from getting trapped. With proper care and seasoning, this heirloom Larch Wood board will last you a lifetime. Dimensions: 17.75" x 13.5" x 1.625"